I recommend this video: Documentary "Higher Self"
Do I fit into any of them today? Would I like to belong to any of them? Hmmm ... I'm beginning to realize that the walk of life without adjectives is so much better. It is freer and lighter. Michele, who is also Michelinha, whom you know as a messenger for the Great White Brotherhood, chela of Master Pórtia ... Michelinha who was afraid to show everyone that she was Michele. The one who wanted to be hidden in anonymity without divulging the work she received from messenger. Well, as you know ... Michele's girlfriend, ex-wife, would work for a big company, work colleague, daughter, sister, sister-in-law ... is different from the one that was coming up with Michelinha's nickname. And the fear of inner revulsion, did it exist? Ah yes! Michelinha wanted a space so she could emerge. Arise without guilt, without past and without judgments. Not judgments of others, but of herself. She wanted a fresh start. He did not want to remember who it was. He did not want to remember his own shortcomings or restrictions. But what happened was that Michelinha was emerging and was joining Michele. That unresolved medium that was not meant to incorporate law but rather psychographed well, but not what they wanted her to psychograph. The one who was always looking for a place to fit in but could not find. The one who was untimely, who was harsh with some people when speaking because I would always be lonely. This was Michele who was incorporating Michelinha. Michelinha who was built on the basis of suffering and pain. In the master system. Like a guinea pig, as I say. The guinea pig to feel all the pains of the transformation, and that arises from the ashes of that I that did not have a true identity: that I that were several personages but that was not no: and that it did not find a place. I still can not say that I have found the final path. I know that so much in life will change. But I have learned to unite my walk at random of consciousness. I have learned to let conscience guide my life and show me the way. The path of peace and fullness. And that way Michele who is Michelinha is following day after day. Trying to be a designer. Trying to be a writer and trying to be a messenger, but allowing every thing in life to be presented at the right time. This character that emerges is not Michele or Michelinha. But as I need to put a name to be identified, then that is the one that is on my ID, because I am incarnate after all. But I do not consider myself Michele, because I no longer want to belong to some identity but rather to chance that life reserves and embracing what will be brought to me. This freedom comes along with a peace and the abandonment of anxiety. I incorporate living in the present moment, and I do not know what tomorrow will be. But I know that the lessons that are brought today need to be looked at and taken advantage of today, for tomorrow life will always show a new path. It will open to bring the new Self to my true purpose. 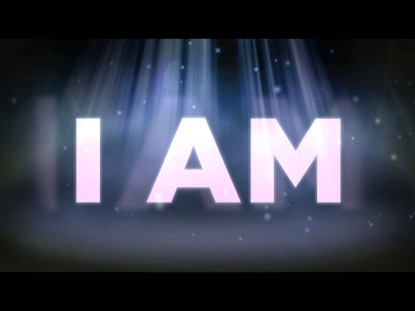 And I accept with open hearts and incorporate the I Am, which is manifesting now, even during my discovery. 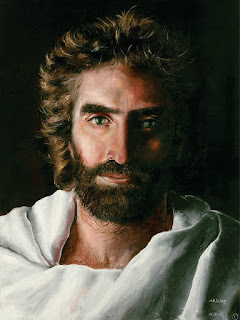 I perceive that the I Am is revealed long before we can understand how we can ever become Him. But I see that this happens gradually and that we only need to remain open and connect to the present and to the experiences that are presented to allow the transformation to take place Gradually. I sign underneath with my name, but I do not know what it is anymore, for the time being we will keep it as it is and go on waiting for life to present the next steps.